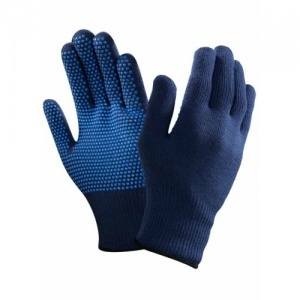 The Ansell VersaTouch 78-203 Thermal Gloves With PVC Dots are knitted thermal safety gloves that have been designed to provide protection against contact cold. Featuring PVC dotting on the palm-side, and safe for contact with food, the VersaTouch 78-203 Gloves are ideal for a wide range of manual handling tasks in the food industry. The table below shows the test results of the 78-203 Gloves according to EN 388:2016 Mechanical Risk specifications.